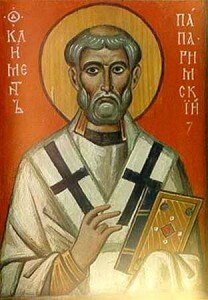 ST. CLEMENT is said to have been a convert of noble birth, and to have been consecrated bishop by St. Peter himself. With the words of the apostles still ringing in his ears, he began to rule the Church of God; and thus he was among the first, as he was among the most illustrious, in the long line of those who have held the place and power of Peter. He lived at the same time and in the same city with the Roman Emperor, Domitian, the persecutor of the Church; and besides external foes he had to contend with schism and rebellion from within. 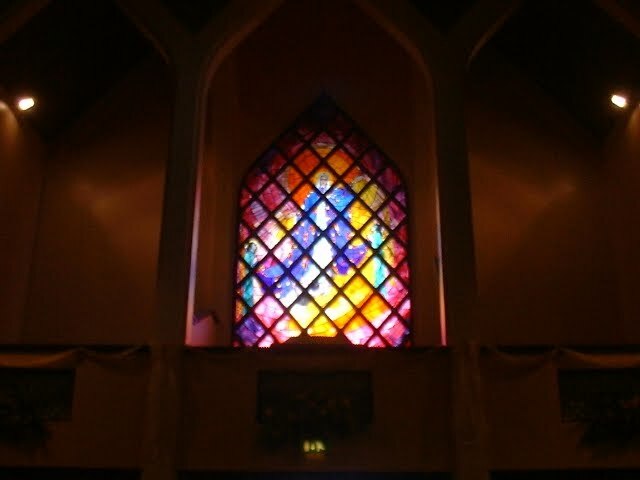 The Corinthian Church was torn by intestine strife, and its members set the authority of their clergy at defiance. It was then that St. Clement interfered in the plenitude of his apostolic authority, and sent his famous epistle to the Corinthians. He urged the duties of charity, and above all of submission to the clergy. He did not speak in vain; peace and order were restored. St. Clement had done his work on earth, and shortly after sealed with his blood the Faith which he had learned from Peter and taught to the nations. Reflection.—God rewards a simple spirit of submission to the clergy, for the honor done to them is done to Him. Your virtue is unreal, your faith in danger, if you fail in this. Next Article When Is Abortion Not a Sin Against the Creator?